What Is The Best Anti Aging Skincare For Every Age? Following a proper skincare at every age is very important not just because obviously the needs of your skin are different but also because caring for your skin the right way at every age will help you protect it against aging and other skin deteriorating conditions, and have a better cared and looked after skin at any age. My point is that what you do for your skin now has a short and long term effect in how it will look 10, 15 or even more years from now. For example, it is a well known fact that sun damaged skin ages faster, so protecting your skin from the Sun at an early age will be one of the measures you can take to have a younger and healthier looking skin both now and in the future. 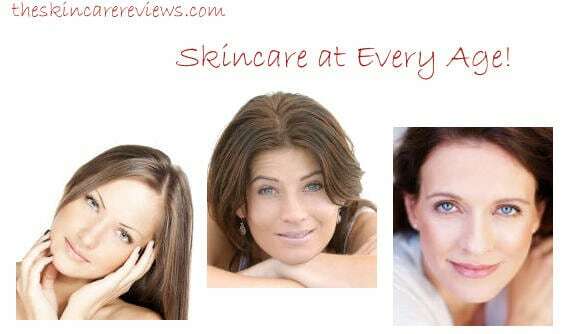 In this article, I will give you anti aging skincare tips for every age as well as inform you about which anti aging ingredients are proper for every age because with all these products that promise you different anti aging benefits, it is no wonder that you might feel overwhelmed and uncertain of which product is the right one for each age. Also, keep in mind that each person´s skin is different. Genetics, living conditions and skincare regimens all affect the way your skin looks differently and while for some people the above factors work more in their favor, for others they simply don´t. For example, while some people need to use retinoids on their skin in their mid 30´s, others might only need them in their 40´s. Thus, in this guide I will provide you with various anti aging recommendations taking into consideration people´s demanding or less demanding anti aging needs. If you belong to this age group and you have not really faced any serious skin issues up to now, you might mainly have been connecting skincare to your makeup removal because of hearing how important it is to cleanse your skin properly. At this age, you need a good quality cleanser according to your skin type that will not be harsh or irritating to your skin but gentle and hydrating. For this age but really for all ages, Pai Cleanser does magic and it’s my favorite cleanser for sensitive skin up to now. Apart from cleansing, you also need a nice light moisturizer that will not clog your pores but condition and hydrate it as much as your skin needs. Avoid anti aging ingredients at this age and go for a good natural and organic moisturizer that absorbs nicely into your skin and makes it look healthy and glowing just like the skin at this age should look. Also, don’t forget your face sunscreen to avoid sun damaging and dehydrating it. If you have dry skin, you can use a hydrating mask once a week and if you have an oily or combination skin, you might want to use a pore cleansing natural mask like Dead Sea Mud Mask and Charcoal Mask or for more sensitive as well as oily with dry patches skin a Rhassoul Clay Mask. During this period, most of us realize that skincare is more important than what we thought it is, so we start looking for skincare tips and good products to enhance our skin’s beauty and health. A lot of us, are not dealing with obvious signs of aging at this age but might start getting a few hints like fine lines under eyes which are formed because this area gets affected and dehydrated sooner than the rest of the face due to the thin layer of skin. These fine lines can easily be smoothed out and removed if you choose a lightweight but at the same time effective eye cream or serum for your age. At this age and also depending on your skin’s condition, you can act preventive towards aging by selecting an antioxidant day cream and a light serum if you think that your skin needs it. Some natural antioxidants that I personally like are pomegranate, green tea and rosehip oil. 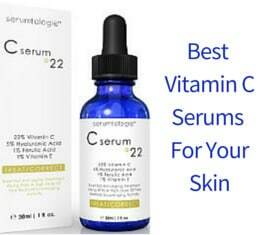 So, at this age, you can go for natural serums that have an antioxidant strength and can give multiple benefits to your skin like preventing aging, evening your skin tone and make your complexion glowing. Aloe Vera moisturizing creams is a good option for a day cream at this age. This period is what I would call difficult for your skin because of the demanding conditions of our lives. It is also this period that different imperfections show up more which make us need anti aging skincare products that can actually make a difference to improve our skin and prevent further deterioration. Ok, that thing about deterioration sounded a bit stressful, I admit, so let’s forget about deterioration and let’s focus on the good stuff that skincare can provide us with at this age. 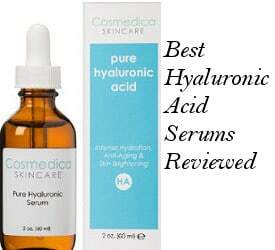 Serums are more than important during this period such as hyaluronic acid serums to hold in moisture, vitamin C serums to boost collagen and deal with age spots, Sun spots and discoloration or Vitamin B3 serums that have anti aging benefits and at the same time are good for acne breakouts. This period is really important to boost your skin with good quality and effective products that will make your skin more resistant to aging. 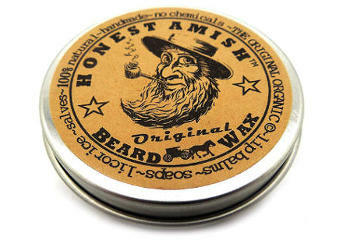 Of course, an effective hydrating cream that is not just hydrating but anti aging as well is needed during this period. Moisturizers that contain Q10, peptides, algae extracts, resveratrol and others are all good for this age and even older. For some people after 35 while for others after 40, Retinoids and OTC Retinol creams is one of the best anti aging ingredients available. I personally find that mixing my Q10 moisturizing cream with a smaller amount of 2.5% retinol cream works fine for me now that I am close to becoming 42 years old. Or you can combine a moisturizing cream for the day with an anti aging one at night. My advice is that during this period you should go for adequate moisturization combined with some anti aging ingredients that you can find contained in serums and moisturizers. If you get puffiness and dark circles under your eyes, look for peptides in eye serums and creams. Natural oils that are full of antioxidants are also very helpful for moisturizing, nourishing, conditioning and keeping your skin more youthful looking and resistant to aging. Favorite natural oils for this purpose is Squalane Oil, Rosehip Oil, Marula Oil, Castor Oil and Tamanu Oil. And finally, AHA acid cleansers and masks which provide your skin with deep cleansing and effective exfoliation that your skin desperately needs during this period is more than needed here to reveal fresh looking regenerated skin. It is during this period that even the most resilient and young looking skin can be visibly affected by the Sun with obvious results. A good cosmetic sunscreen which does not only offer you Sun protection but also keeps your skin adequately hydrated is much needed. So, don’t forget to wear a moisturizer with SPF even during the Winter, especially in countries where the Sun is out most of the days. I suggest a lightweight formula that absorbs fast into your skin so that you don´t feel it like those heavy beach sunscreens which I can personally stand only when I swim or sunbathe. If your skin condition does not reveal your real age, there is one thing at this age that might have skipped your full attention and that is the NECK! Ahh.. yes it might feel really creepy, right? So, after giving several iconic neck lifts to myself with my hands, browsing the net for similarly affected people and accepting in a short, luckily period of time, aging but always having in the back of my mind future plans to deal with the situation, I was able to 90% deal with it on my own (let´s see how long it will last.) The solution actually came as an unexpected gift, I will tell you more about it in another article. In a few words, it´s obvious that this period between 40 to 45 years old is the first real aging test you might need to take. Your skin will start losing some of its firmness and moisture while wrinkles and fine lines become more visible in some cases and in others not so much but even if they are not visible enough, some of them are already lurking and waiting patiently for what you do or what you don´t do. This is the time you will seriously need to think about a neck firming cream. Also, always keep your skin adequately moisturized and boost its anti aging resistance with skin serums that contain anti wrinkle and firming agents. Good anti aging ingredients are peptides like Matrixyl and Argireline, copper peptides, hyaluronic acid, vitamin C as well as other vitamins and of course retinoids. If crow´s feet or other deep wrinkles annoy you, look for products that can optically fill up wrinkles. Also, don´t forget AHA acids for exfoliation as well as collagen boosting face masks. One of the first signs that menopause has is the skin dehydration. For this reason, apart from a reconstructive cream which you will surely need, you will also need a rich moisturizing cream to use every morning and night as well as a concentrated anti aging serum. One to two times a week, it´s also good to apply a restorative hydrating mask which you can leave on your skin all night long and of course skin tightening and firming formulas are very much needed here. Copper peptides (check our copper peptide serum review) are good for tightening loose skin, improving elasticity, increasing collagen and reducing fine lines and wrinkles. After menopause, you may notice your skin becoming very dry with discoloration and lack of glow. At the same time, the law of gravity and the drastic reduction of collagen and elastin lead to the visible loosening of the skin. To be able to deal with those visibly aging signs, look for restorative, nourishing and rich moisturizing ingredients in your day creams, night creams as well as eye creams. Use products that lock the moisture in your skin and go for healthy natural options that boost your skin´s health and beauty. Finally, don´t forget that your skin will always look beautiful at any age as long as you give it some daily care using appropriate and good quality products and as long as you follow a good diet and in general a healthy lifestyle.